Hey guys, during my searching for some exec demo cars, came across an interesting way to potentially find an exec demo without having to contact every dealer. I haven’t seen it posted here yet, so apologies if I missed it somewhere. Anyways, it’s still kind of a pain, but far better than going back and forth with a sales guy 5-6 times. I’ll put in the car I’m looking for (Audi A4), shorten the year time frame to 2017-2018, and then make the mileage 10-12k to weed out the high mileage stuff. Then, hit ctrl-F to bring up the search and type in “corporate” and it’ll highlight the cars that are tagged as corporate vehicles. These are either executive demos, service loaners, or rentals. As far as I know, can only view vehicles within 500 miles of the zip, and only 25 at a time. So it might take some digging to find the right cars. From there you can use the VIN number to try and find the window sticker using some online tools. Only one that I can never really find are BMW’s. So will have to contact a dealer directly to get the MSRP and if it’s a leaseable loaner/demo car. Moved this to the wiki, should have posted it here in the first place. Whoops. You can do essentially the same thing with cars.com or autotrader. 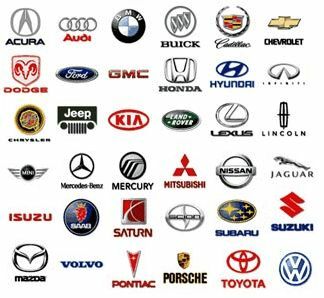 Just search for used current model year cars and almost anything at a dealership of the same make will be a demo/loaner. You can check carfax to confirm. Thanks for the tip. Do dealers typically lease any used car or is it from specific stock? If it is indeed a demo or loaner the carfax will say something like either “manufacturer car” or “dealer took possession”. It all depends on the brand, but I believe most do demo/loaner leases. Bmw and merc are big on here because you can get some pretty serious deals. I’ve seen Hyundai Acura gm and Volvo just off the top of my head on here.